Reason for Reading: I haven’t read any fictional books about lawyers since John Grisham scared me away from the genre about a decade ago, but Michael Connelly? I’m there! Why you should read this book: Back in high school, I read a few of my mother’s John Grisham novels, but after having a confused moment of thinking, ‘Did I actually read this already, or is Grisham so repetitive that I just think I have?’ I decided that maybe I wasn’t cut out for courtroom thrillers – until along came Michael Connelly, casually turning the genre on its head. As with many of Connelly’s books, he starts off with a fairly slow pace; letting you get to know his characters, lulling you into a false sense of security, before – bam – nothing is what it seems. Most of the book takes place outside of the courtroom, although when that is the setting, Connelly is focused on the action, not on recreating all of the small details of court (which are, indeed, incredibly dull when you don’t have a news station to filter out the endless hours of legal bureaucracy). The second half of the book sees Haller facing a lot of threatening, suspenseful situations, but he’s forced to use the courtroom to solve his problems – and the problems of everyone around him. 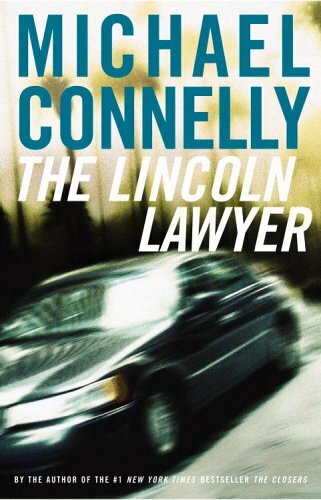 The Lincoln Lawyer is highly recommended both for courtroom thriller addicts and suspense/thriller junkies. You won’t be able to stop reading until you know whether or not everyone will get what’s coming to them – good or bad. Why you should avoid this book: This isn’t To Kill a Mockingbird – Mickey Haller is a lawyer willing to bend the rules to make money and keep his low-life clients coming back. This makes for an exciting read, but Haller isn’t exactly a heart-warming, altruistic sort of lawyer. Connelly’s writing style won’t win him a Booker Prize, but the slightly choppy writing does suit the fast-paced thriller genre. The morning air off the Mojave in late winter is as clean and crisp as you’ll ever breathe in Los Angeles County. It carries the taste of promise on it. When it starts blowing in like that I like to keep a window open in my office. There are a few people who know this routine of mine, people like Fernando Valenzuela. The bondsman, not the baseball pitcher. He called me as I was coming into Lancaster for a nine o’clock calendar call. He must have heard the wind whistling in my cell phone. I looked closely at him. Almost all of my clients make protestations of innocence at one point along the way. Especially if it is our first case together. But Roulet’s words came with a fervor and directness I hadn’t seen in a long time. Liars falter. They look away. Roulet’s eyes were holding mine like magnets. I thought about this for a few moments. The bartender delivered my next pint. Also recommended: The Empty Chair by Jeffery Deaver; Forty Words for Sorrow by Giles Blunt; The Blue Nowhere by Jeffery Deaver. Also by this author: The Black Echo; The Black Ice; The Concrete Blonde; The Last Coyote; The Poet; Trunk Music; Blood Work; Angels Flight; Void Moon; A Darkness More Than Night; City of Bones; Chasing the Dime; Lost Light; The Narrows; The Closers; Echo Park; The Overlook. Fun tidbit: Click over to Connelly’s website to read about the inspiration behind his genre switch. Would I read more by this author? Try and stop me.